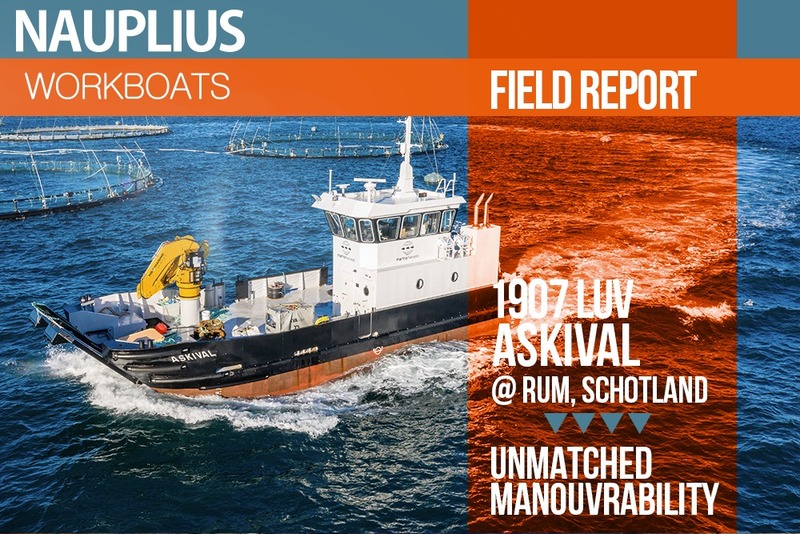 We have built site boats like the Askival for MOWI (Marine Harvest Scotland), with net washing equipment, used for daily operations at Marine Harvest sites at the Scottish Outer Isles. The boats are seaworthy for distances up to 60 miles off the coast, which is necessary for transport between the three MOWI fish farms. The Askival is manouvring between the fish pens with ease. Stay tuned for the upcoming clip of the Askival @work.